Being nice to someone you dislike doesn’t mean you are a fake. 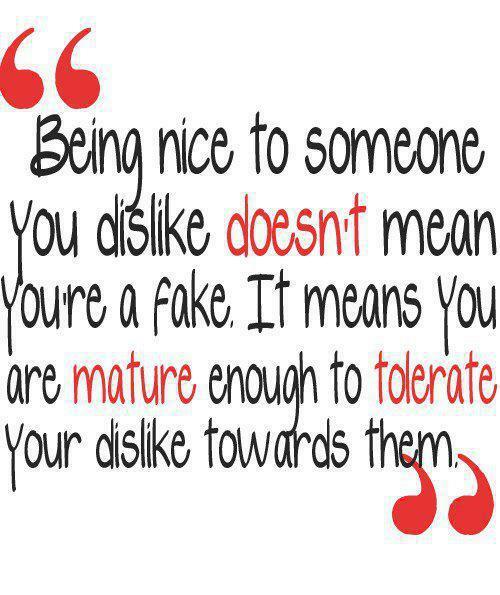 It means you are mature enough to tolerate your dislike towards them. You can always ask God for grace,u will be amazed at how God will help u. For so long in my life if I did not like u, I just would not go around them. I Thank God he gave me a chance.